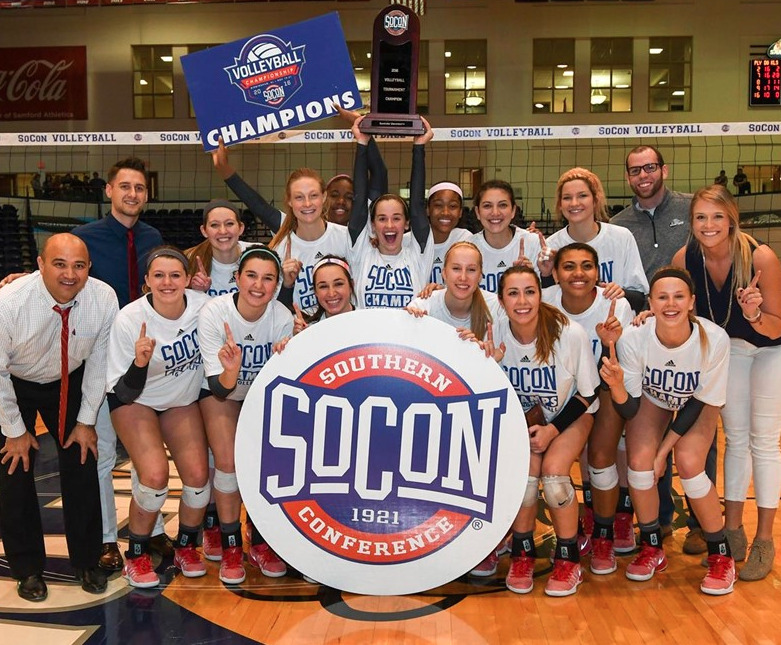 Samford’s volleyball Bulldogs won the Southern Conference tournament title Monday night (Nov. 21) with a four-set victory over University of Tennessee–Chattanooga. With the title, the Bulldogs earned the conference’s automatic bid to the NCAA tournament. Playing before a raucous home crowd at Pete Hanna Center, the 4th-seeded Bulldogs came from behind in the fourth set to beat 3rd-seeded Chattanooga. The Bulldogs had upset top seed East Tennessee State University in the semifinals to reach the championship match. It is Samford’s third SoCon title in the last six seasons. The 2011 title also was won at Hanna Center. The Bulldogs won the 2014 title in Greenville, South Carolina. It’s been a banner year for Samford women’s athletics, including the 2016 Indoor Track and Field championships, the softball regular season and tournament championships, and the soccer regular season and tournament championships.